Yesterday was the long anticipated night! 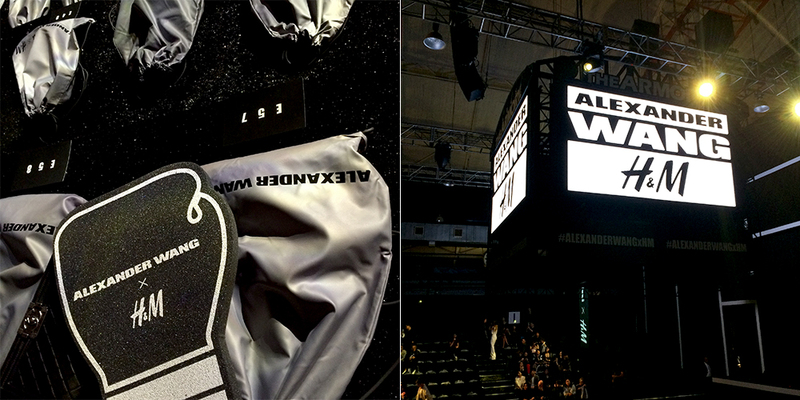 Alexander Wang released his collaboration collection with H&M and he did it in a big way! About one thousand guest were taken to the Armory on the Hudson— an indoor track and field space in Harlem. What would had been a more perfect location for the sport infused collection! 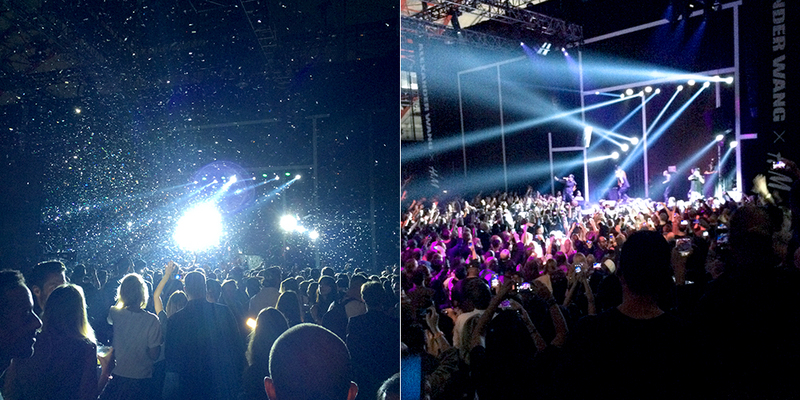 Branded foam boxing gloves, buckets of beer and pop corn kept everyone busy (taking selfies for instagram) until the show started. See more photos below. I'll be talking more about the collection and press conference in the next post. 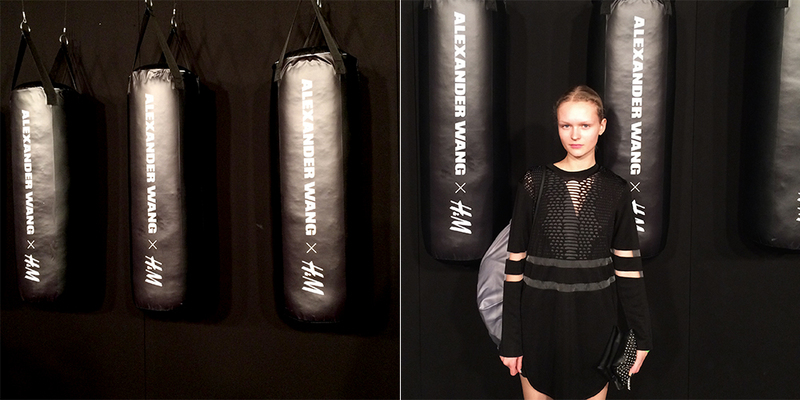 "red carpet" in Wang style, with black leather punching bags. And then the lights went off and out of nowhere (actually from the ceiling) appeared Parkour guys who made an impressive performance complete with trampolines, ramps and rope propellers. The collection was all about "urban survival" after all. But that was just the opening act. The actual show was still to come. A moment later the models who all looked as fit as they could be athletes took over the track through a smoke-filled door. 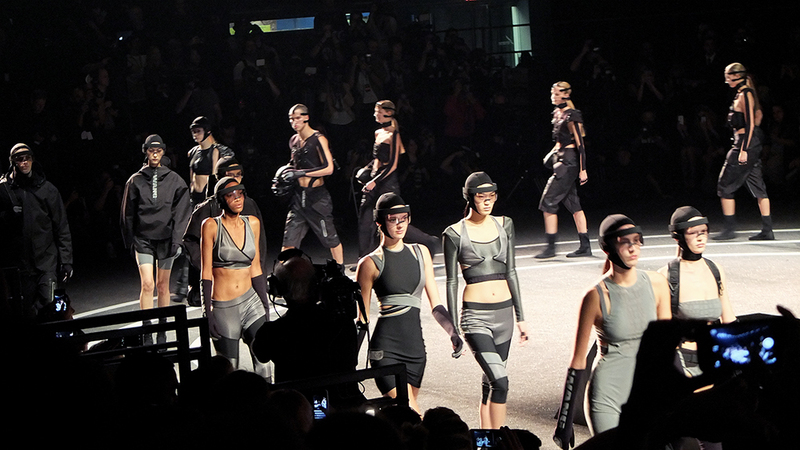 With Natasha Poly opening and Karlie Kloss closing the show, Wang had a truly powerful model army. 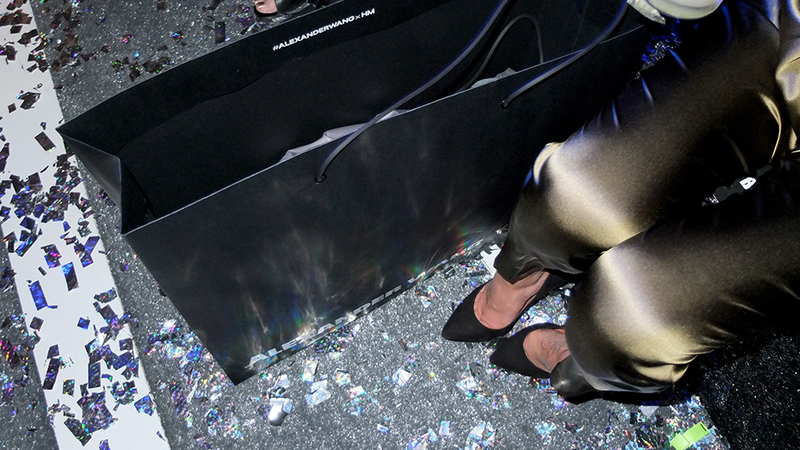 Right after the show an exclusive pre-shopping pop-up store was opened and you can imagine it was worse than any other sale you have ever attended. Locker-room looking store was quickly filled with crowds grabbing everything from the shelves and racks. But I guess it's still better than queueing outside an H&M store 5 am in the morning when the collection comes available. And what did actually get people talking? 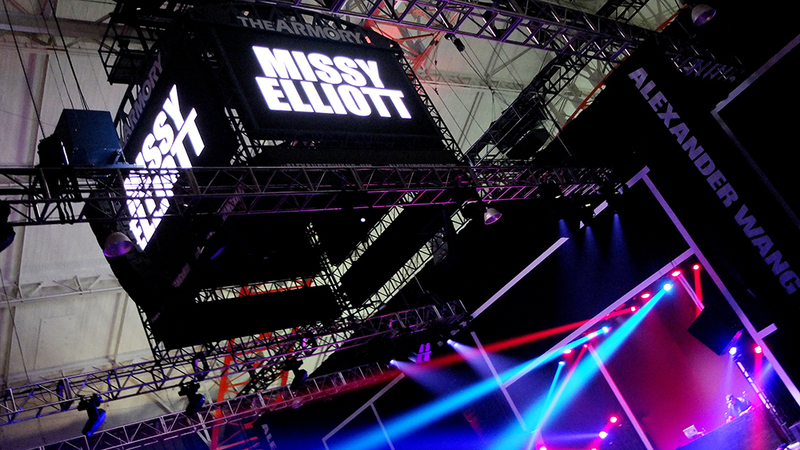 Two words, Missy Elliott. Even me who doesn't listen to hip-hop got bit carried away because it was something we used to dance to when I was little.. Get Ur Freak On! 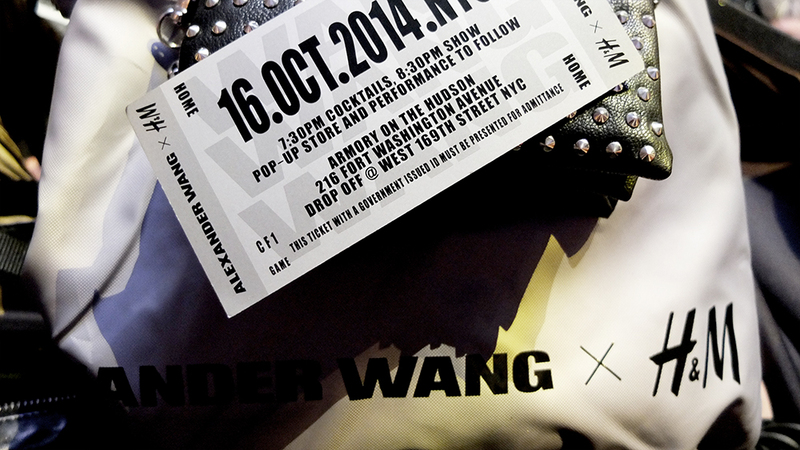 and what did we learn... That Alexander Wang knows how to make people love him and have a good time. And that he's quickly becoming a lifestyle brand that people know globally as a household name. I'm sure it was awesome!!! I would have loved to see Missy. What an amazing event!! I am sure it was a great celebration and everyone liked your show. I would love to join fashion events in New York. So, please share some more information about this event as I am very excited to know more.